Let me be brutally honest here. Being a wedding planner is HARD WORK, both emotionally and physically. We cry. We laugh. We lose sleep. We cry some more, this time tears of joy. On wedding days, we sweat through multiple outfits while dropping linens, tying bows, moving tables and easily clocking in over 20k steps in a short period of time. We come home with battle wounds and bruises. We experience our version of a wedding “hangover” that impairs our ability to do anything physical the next day. And we would go through it all over again for you in a heartbeat. The rewards of our “job” as a wedding planner far outweigh the aches and pains we experience along the way. Seeing your vision come to fruition and the sheer joy on your faces throughout the journey is what keeps us coming back for more. While we do get paid to do this, I find the greatest payout is receiving love mail like this in our mailbox and inbox from clients. If you want to know the best way to thank your planner and other wedding vendors, I’ll let you in on a little secret…one that has sadly become a lost art form. Putting your pen to paper and expressing your sincere gratitude in a good old fashioned thank you note. 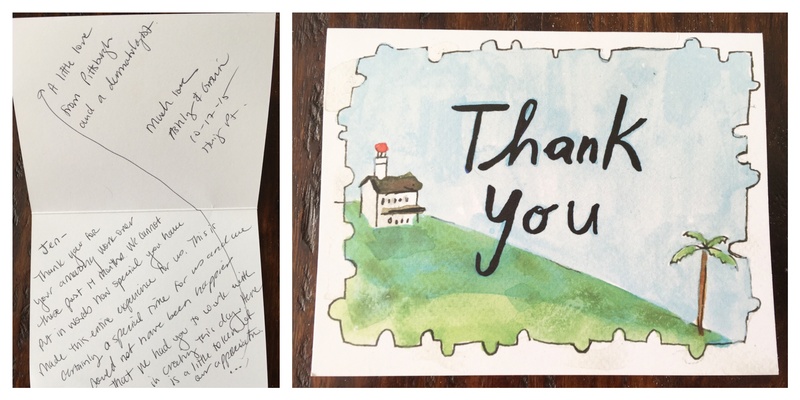 Thank you Kara and Ashley for sharing your kind words with me this week. I’ll hold onto these beautiful notes forever. Another way to thank your wedding vendors is by writing a positive review on resourceful websites like The Knot, Wedding Wire, Google, etc. Hilton Head, Savannah and Charleston are a hot spot for destination weddings. New brides often refer to these websites when considering who they’ll use for wedding planning, photography, floral, ceremony and reception venues, etc. 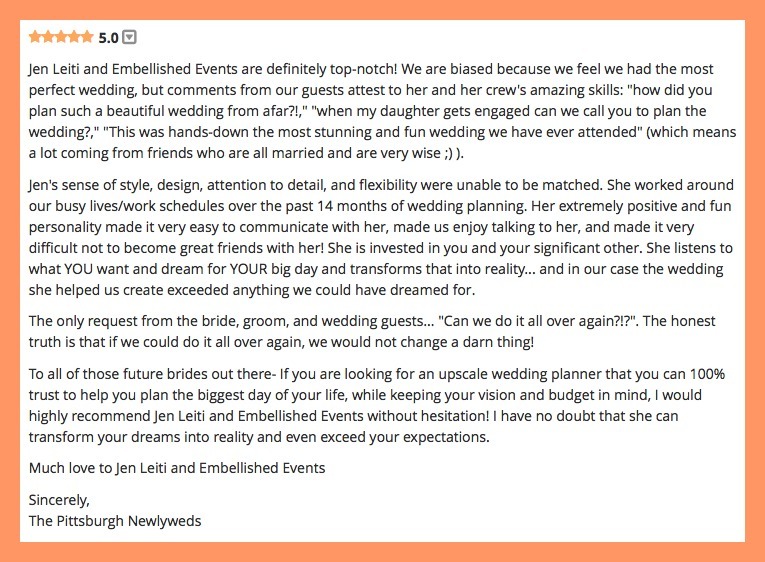 Reading reviews is a valuable tool for a bride planning her destination wedding because it provides insight on how well that particular vendor works with their clients and the quality of products they deliver.